Caption slip reads: "Photographer: Olmo. Date: 1957-01-26. Reporter: Brown. Assignment: Station fire. 73: Ambulance attendants work on Mitsuo Nihara, 28, fire victim. 74: Ambulance attendants carry victim to ambulance. 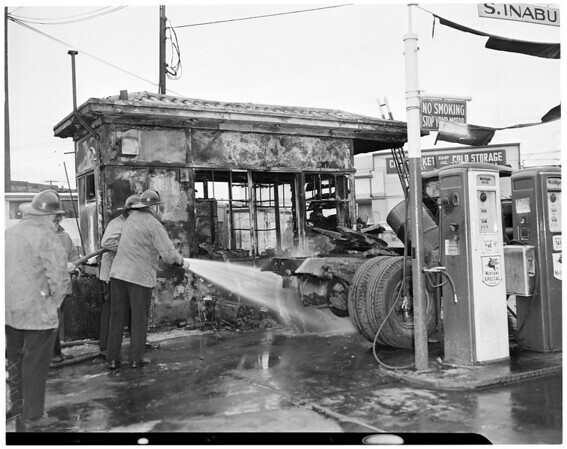 75: General view of charred service station and truck at 11th and Wall Streets. 76: Fireman cuts down fire damaged power lines".